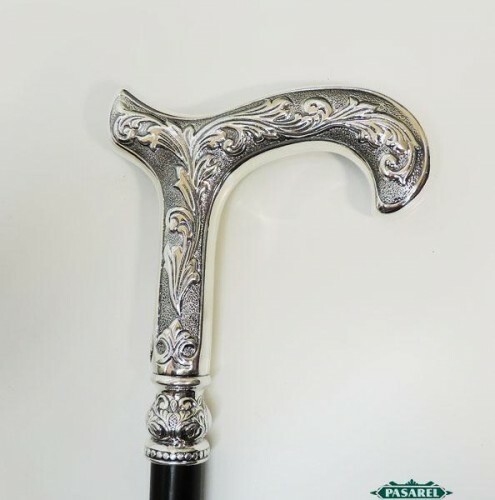 Pasarel - Sterling Silver & Wood Walking Stick / Cane. 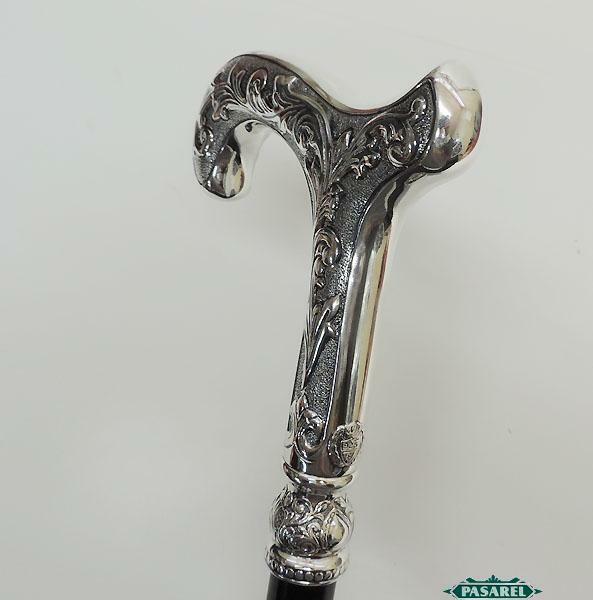 Sterling Silver & Wood Walking Stick / Cane. 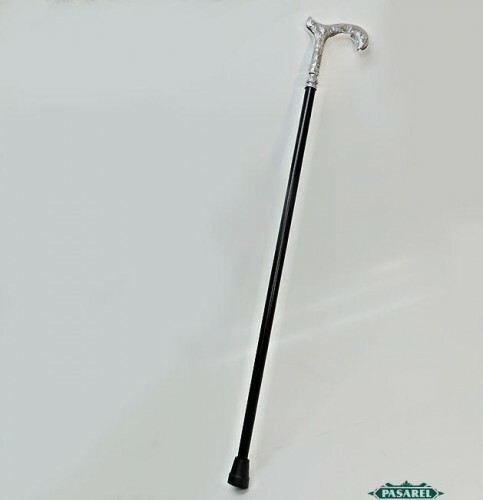 The cane is made of sterling silver handle and black painted wooden stick. 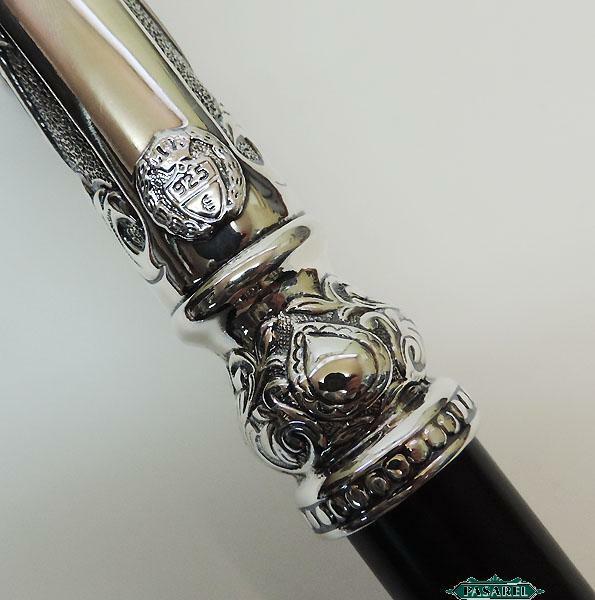 The silver handle is chased and engraved with foliage ornaments. 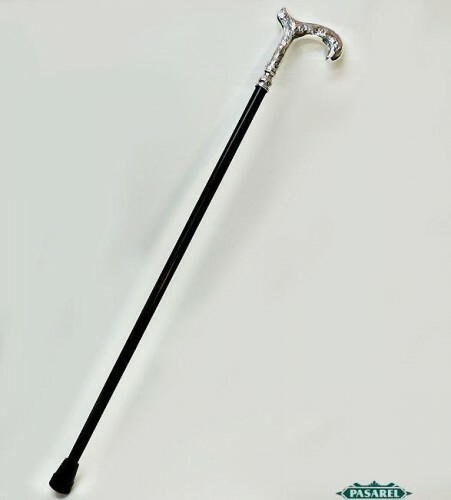 Length – 94cm / 37in.